You could see some shorebirds with colour flags in Deep Bay areas during this spring, please note flag(s) colour(s), position(s), species and percentage of breeding plumage of the birds. 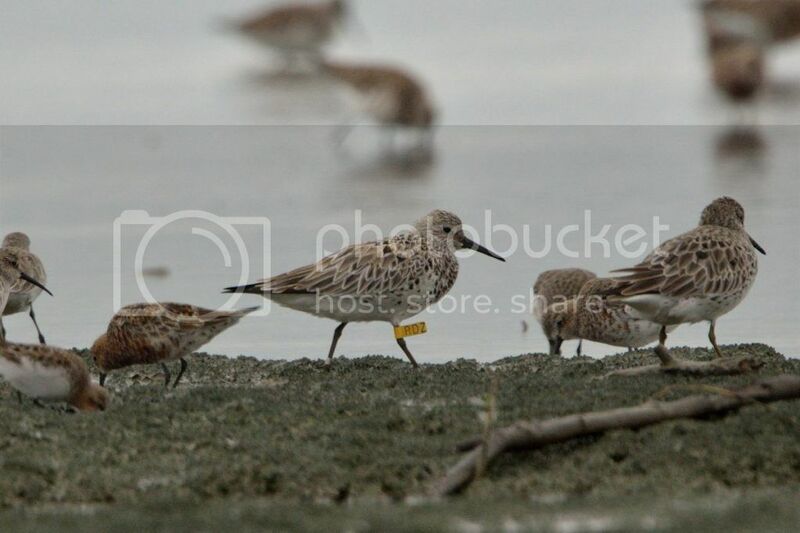 We could see these shorebirds with local flags (White over Yellow) and overseas flags (e.g. orange, orange over yellow, yellow, black over white, etc). Members are encouraged to submit these sightings of leg-flagged shorebirds, especially to those with overseas leg-flags. Such information could be posted here, or through email (bfspoonbill @hkbws.org.hk) or PM. in which the colour and position of the plastic colour rings and leg-flag enable identification of individual bird. The easier thing to do might be taking a record shot. Don't forget to record the SPECIES! Additional information on % breeding plumage will be useful as well. Please keep an eye on them. Sanderling "P2" - SE Australia ? The Sanderling is from South Australia (combination orange over yellow). I have made some enquiries about the unusual attachments (cable ties?) on the Curlew Sand, to see if anyone knows where this birds might have been marked. All the pics below were taken on 18th April 2012 from the boardwalk hides.. Yes, the first one looks like to have black/green flags. So, it could be flagged at Thailand. It seems that the Curlew Sandpiper with cable ties on the legs (rather than flags) is one of 18 birds trapped on 19 and 20 September 2007 at Wonorejo, Surabaya, Indonesia. 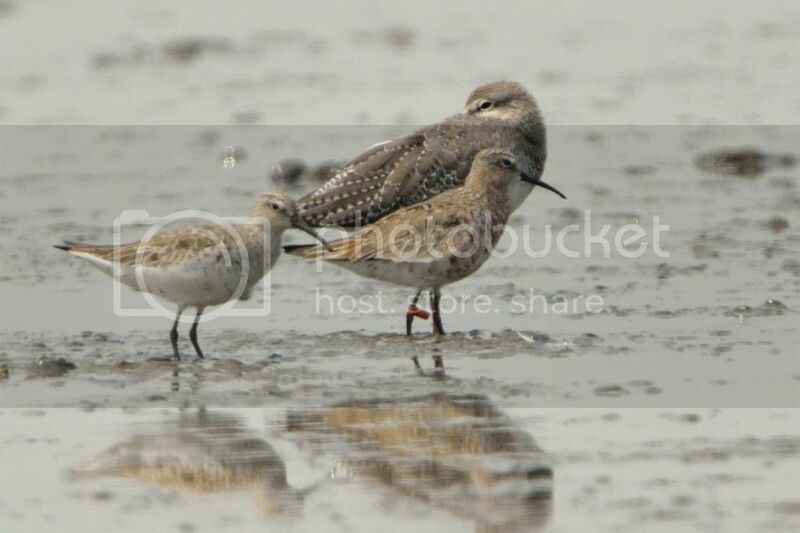 We have previously had Curlew Sandpipers flagged in Hong Kong reported at Wonorejo. 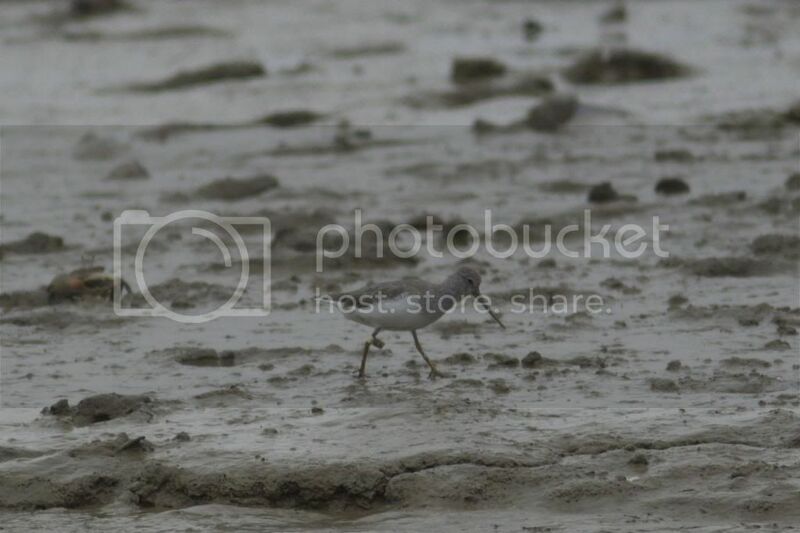 Terek Sandpiper at Shenzhen Bay Area on 2 May 2011, right leg above Tarsus: orange over black. Hi Kinni. I have received details for Great Knot RDZ. 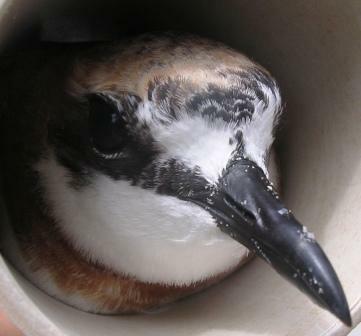 This bird was flagged at Roebuck Bay, Broome, north-west Australia on 1st August 2010. It has been resighted nine times around Broome, but this is the first sighting outside Broome. Thank you for posting the sighting. Hi Thomas. Unfortunately not all of the stint flag is visible, and I don't think it will be enough to recognise the individual. I will send it to the relevant contacts in Victoria, Australia to see if there is anything they can do, but if you have any other photos of the bird's leg at different angles it may be very useful. One flagged Dunlin seen on 19 Dec 2012 at Mai Po, Hong Kong. Green/Orange and the flag was located upside the knee. Bar-tailed Godwit, yellow flag, DXE: Was flagged as a first summer on 3rd July 2010 at Broome, Western Australia. Was seen in Broome in July and August 2010, and in December 2011. Bar-tailed Godwit, yellow flag, JJV. Was flagged as a second winter on 6th March 2012 at Broome, Western Australia. Was seen in Broome in March, April and November 2012. I also had a colour-ringed Bar-tailed Godwit on Friday, but haven't received details back about that bird yet. It would have been ringed either at Broome or at 80 Mile Beach, also in WA. Based on these sightings, it seems highly likely that the influx of Bar-tailed Godwit (and smaller numbers of Great Knot) that arrived last week had come from Broome, where large numbers of these species spend the (northern) winter. It seems that the orange flag is engraved. Do you have any more photos which may show the engraving clearly? When I took the photos of this pair of Ruddy Turnstone, it was raining heavily outside & I was not aware of the leg flags. Therefore my camera didn't focus on the flags! Luckily Richard managed to note the engraving today! The same Turnstone DAM was seen by Tung, Ivan and me on 15 April. I think this is actually a Hong Kong-flagged bird that has lost the lower flag. We have had this problem on a couple of Terek Sandpipers because we initially flagged them above and below the 'knee', and the lower flag has been lost (probably broken on rocks or eroded by sand). We have now started using narrower flags, both above the 'knee' to solve the problem. 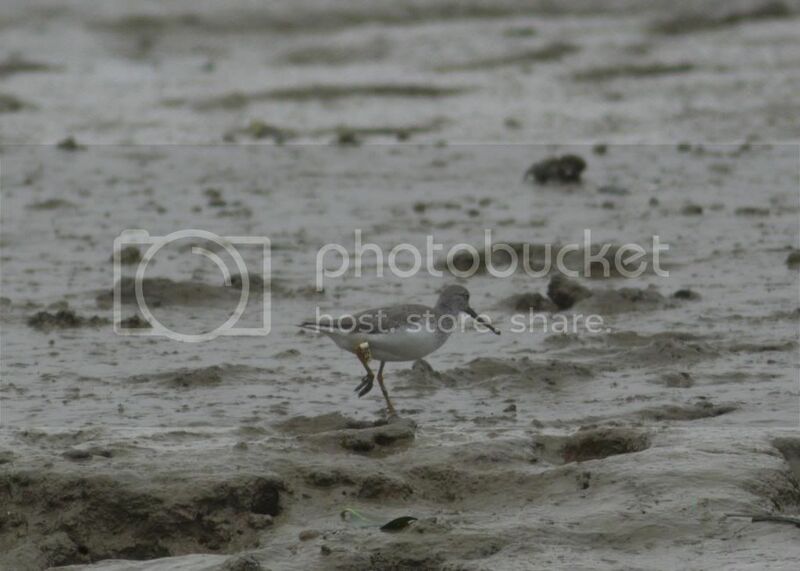 There are actually 3 Red-necked Stint with orange flag on 4 May from Boardwalk. One of them was photoed and posted by Natalie. 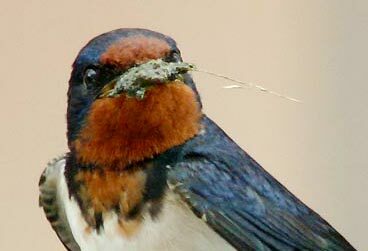 The second one was very similar to the posted photo (very low % of breeding feathers). The third one had about 50% breeding feathers. the ring says "255c" or "255o"
Processed in 0.076758 second(s), 9 queries.